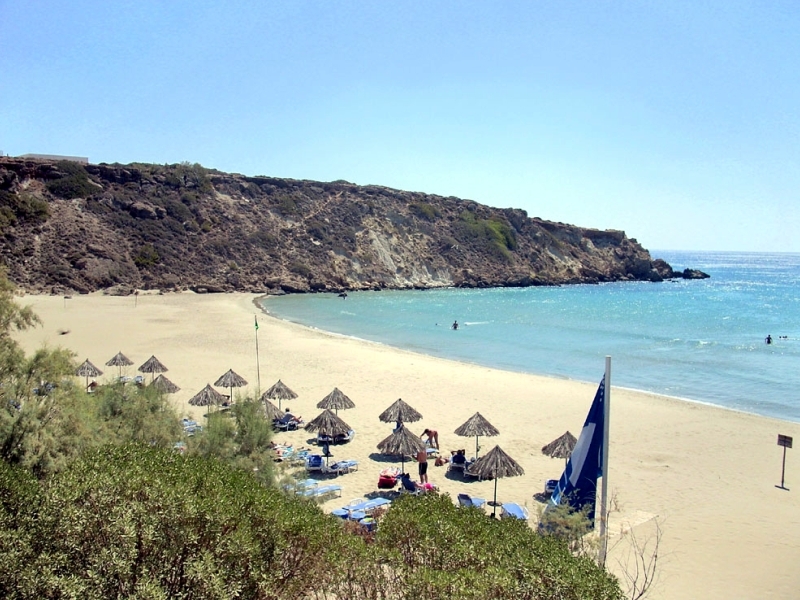 The name Makrigialos which means long beach becomes from the long sandy beach which is approximately 1km. The very shallow crystal clear waters and the fine sand make the beach of Makrigialos ideal for families with children and for those who do not know to swim well. Two beautiful traditional villages Agios Stefanos and Pefki are located very close to Makrigialos and worth's visiting them. 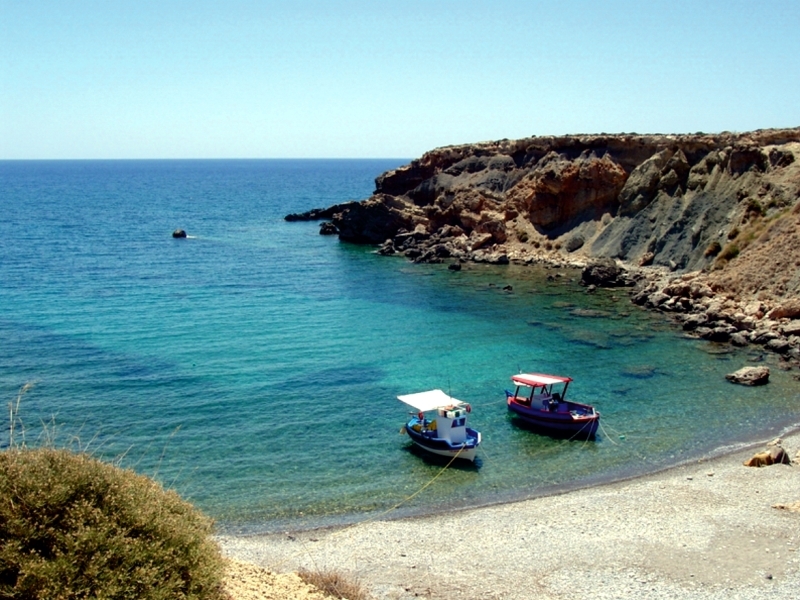 The surrounding area of Makrigialos is still unspoiled and is ideal for those who are searching for quiet holidays. 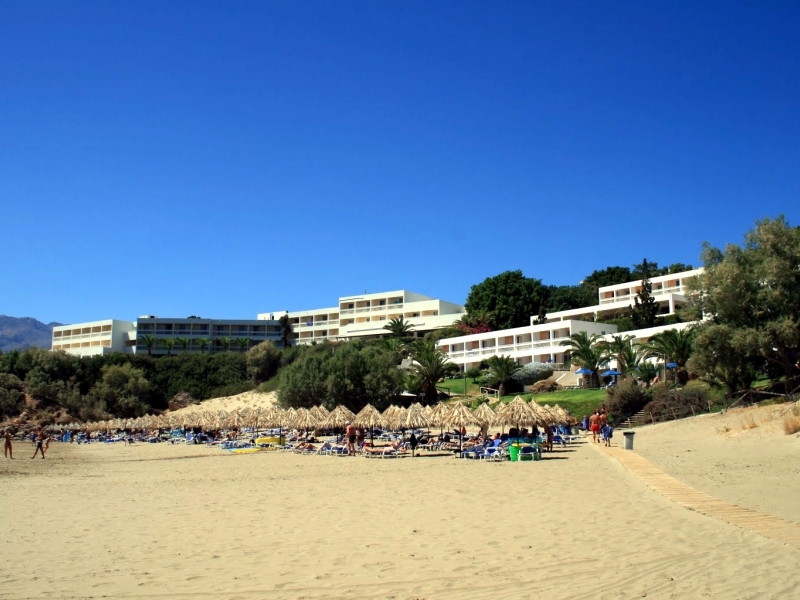 There are many visitors that return in Makrigialos for vacations year after year. Around the beach and around from the scenic harbor there are many Taverns, Restaurants, Pizza and Grill Houses that suit all tastes. In Makrigilaos and in the area there are also cafe - bar - club, banks, pharmacies, car rental offices, general tourism offices, gas stations and generally almost all kind of shops. There are also a doctor's and dentist's office. In Makrigialos you can choose the kind of accommodation that you prefer and that suits you better. You can find: Rent rooms, Apartments for rent, Villas and hotels in Makrigialos. From Makrigialos you can visit the monastery of Kapsa, the gorge and the folkore museum at Pefki village, Vreikos Caves, the gorge of Pervolakia, Koutsouras forest, the Venetian Villa at Etia, Voila's castle at Chandras, the windmills at Armenoys and Ziros area and also explore the villages of Agios Stefanos, Pefki, Pervolakia, Skinokapsala and Orino. 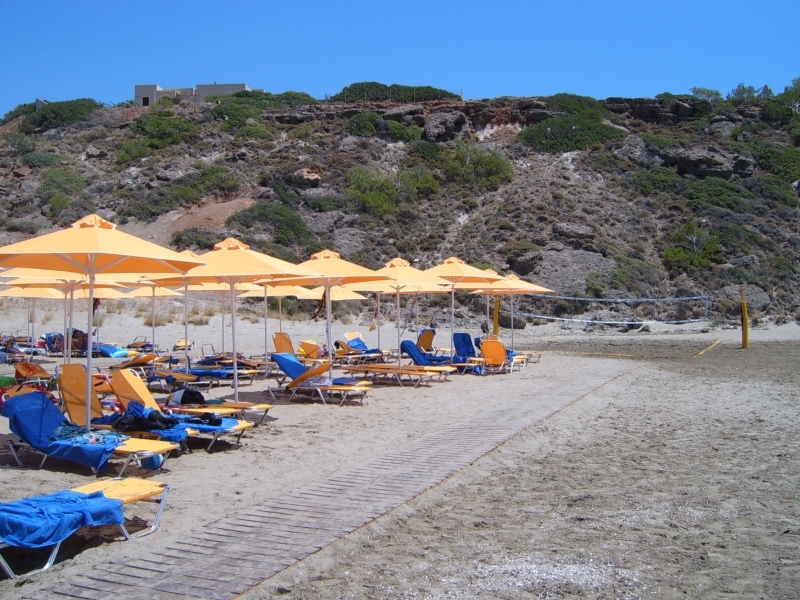 Enjoy your vacations in Makrigialos in one of the most beuatiful places of Crete and Greece.